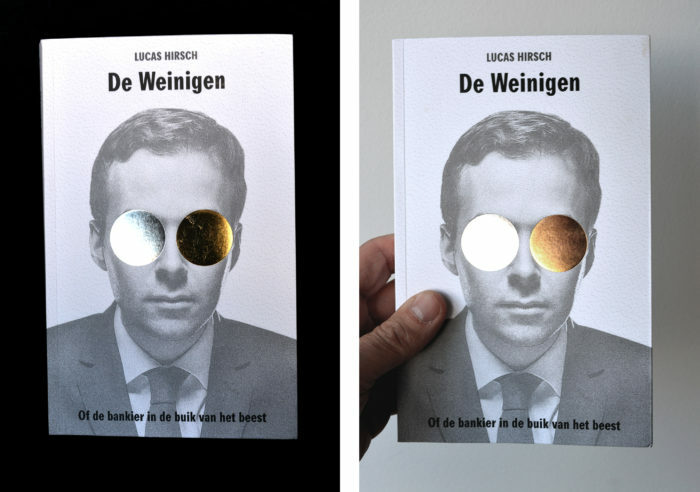 Cover design with silver and gold foil for De Weinigen (The Few), a great novel by Lucas Hirsch about the secret side of banking. Concept: the title refers to a certain type of banker: a grey, non-descript, unnoted person. Someone who is blinded by money and has a reason to hide his identity.